England created history on Tuesday after they beat Australia’s bowlers black and blue to smash their way to a world record 481. 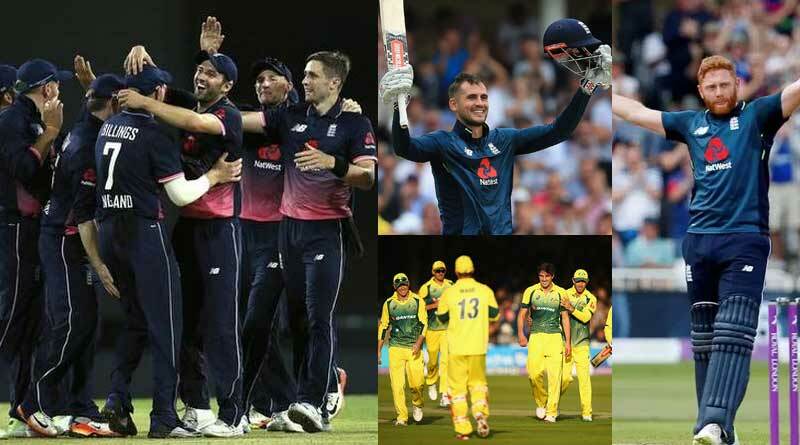 The third ODI of the England Vs Australia series saw plenty of records being broken but none bigger then record for the highest one day international score. It was a massive show of strength by the English batsmen who hit a massive 481-6 and went onto dismiss Australia for just 239 to win the match by 242 runs, also recording one of their biggest wins in ODIs. Trent Bridge was greeted to one of the finest ever batting innings by the home side. Coming just days after the New Zealand women had made the record for the highest total in women internationals after scoring a record 490-4 against Ireland, the English innings was at par with the one we had witnessed from New Zealand just 11 days ago. Batting first as they looked to seal the five-match series, England were no mood to joke around. 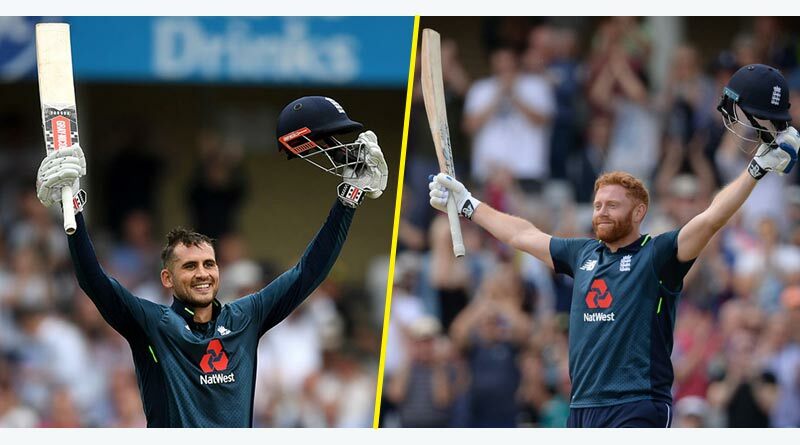 Alex Hales and Jonny Bairstow both hit sensational centuries as the duo laid the groundwork for the middle-order to come and tee off from the word go. Both their innings lasted 92 balls, with Hales getting 147 and Barstow hitting 139 in eye-catching and breathtaking shows of pure strength and cricketing genius. Despite bowling eight bowlers, Australia was unable to unlock the partnership which threatened to post 500 at one point. Skipper Eoin Morgan put the cherry on the cake with his rapid 67 at the end of the innings which saw the left-hander reach his half-century in just 21 balls, the fastest by an English player. Hales added: “We’ve had some great memories here as a team and today is another special day. “The 500 was murmured when Morg (Morgan) came out but we just couldn’t get there,” he added. With the match already lost for Australia long before they stepped out to chase, matters got worse for them after they succumbed for just 239 with Adil Rashid taking 4-47 to win the match for England by 242 runs.